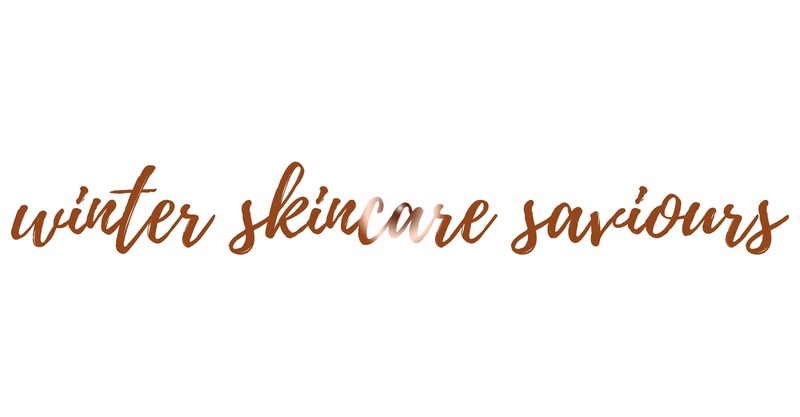 I absolutely love seeing what's in people's skincare saviours, especially for anyone who suffers from dry skin, sensitive skin or eczema because it provides me with the opportunity to venture out into new skincare range instead of sticking with what I know and love. I have always been quite afraid to try new skincare ranges with the fear of the unknown of how my skin will react to new products; I just never know if they're going to irritate it or not. So instead of having to suffer through irritation, I tend to avoid changing up my routine. However, after receiving the Sukin range back in Spring and giving it a go and loving it; I knew I had to venture out and try new products and brands and this is where we're at now. Not having a single No7 product in sight and I love it! 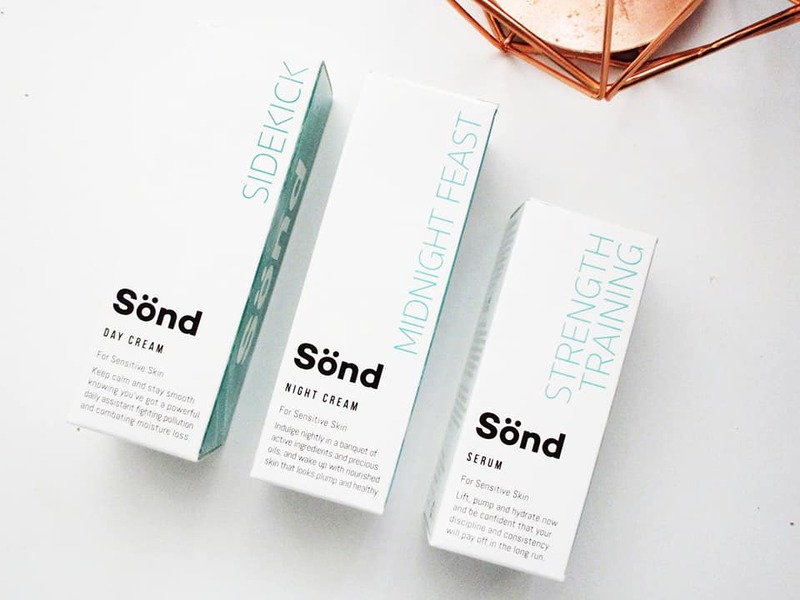 Firstly we have the Sönd Skin range which is an Alkaline skincare range for sensitive skin. This sounded really intriguing when I first heard about it as it promotes the use of Alkaline. I personally love the night cream most out of all three of the products as it contains rich oil night cream containing organic Argan, Coconut and Hemp Seed oil which encourages the thicker consistency. However all three products work wonders on my skin as they're thick, moisturising and they do not have any perfumes added too them. Using these every so often alongside my Sukin range is leaving my skin glowing and looking as healthy as ever. 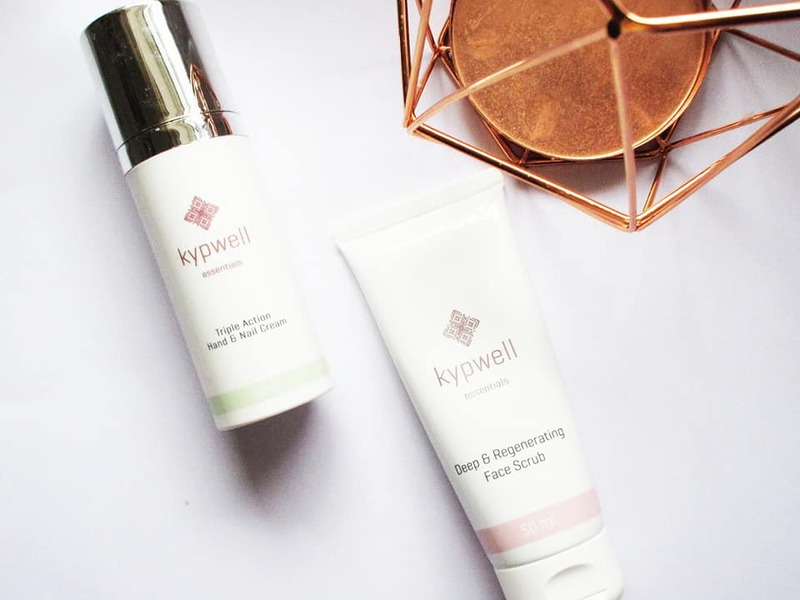 Hands are also just as important throughout winter and the Kypwell triple action hand cream has been a must have for me. I absolutely love this hand cream purely because it smells like gingerbread and cinnamon; it has a distinctive smell and I love it. I personally wouldn't say that it has made any difference to my nails like it states, however I have had an improvement in how soft my hands feel compared to usual. Whilst loving their hand cream, the face scrub has made my skin feel so fresh and incredible when I apply this at night time. This product features scents which are different to normal face scrubs I have previously used; it's stronger but in a pleasant way. I tend to not use a scrub often as I feel using them too often irritates my skin, but this has been working well a couple of times a week. 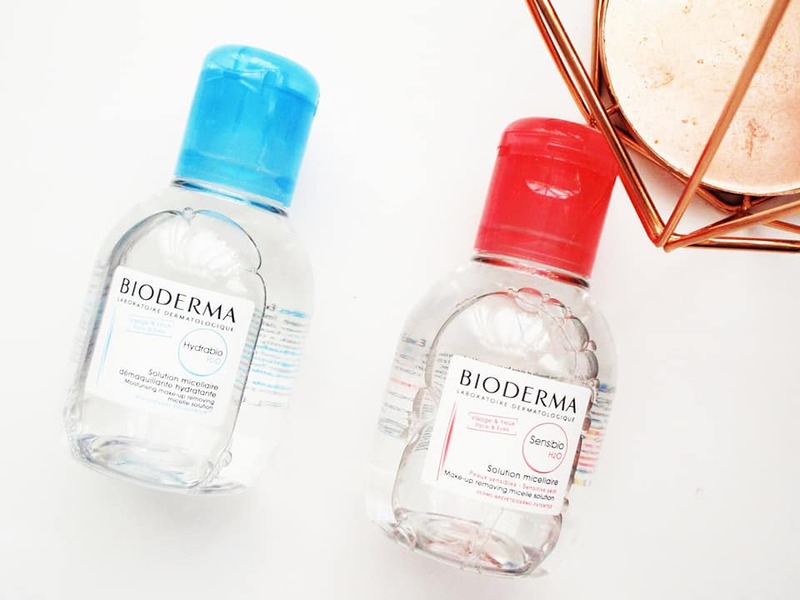 For a good half a year now I have been using the Bioderma Sensibio Micellar Water however I've recently given the Bioderma Hydrabio Micellar Water a try. This range of Bioderma is to provide your skin with hydration and radiance which is every you need throughout Winter when your skin is looking a little bit dull and dry. Whereas the Sensibio is for sensitive skin. Both of these micellar water's work wonders for me; my skin feels clean, fresh and silky smooth after using them and it doesn't feel drying afterwards. 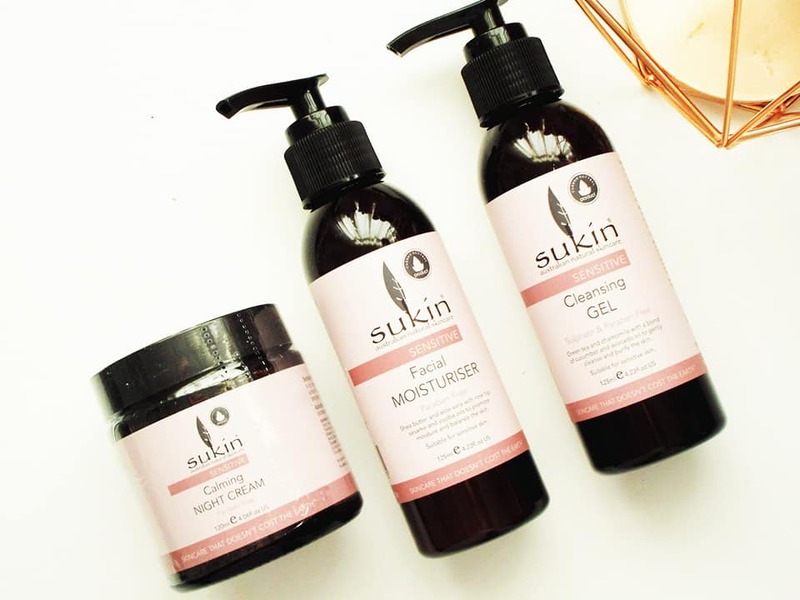 Throughout the year I have been on and off using the Sukin original day cream, however I recently came across the Sukin sensitive skin range and I LOVE it. It doesn't have a unpleasant smell whereas I tend to avoid my original day cream now as the smell was too off putting and my boyfriend didn't like the way my skin smelt either. Whereas this I would say generally doesn't really have a scent which I prefer. I absolutely love the cleansing gel; you rub it into your hands until it's foaming and then rub into your skin using your finger tips. It makes the process so much more relaxing for my skin, instead of trying to foam the product on my skin and then massaging it in afterwards. As I mentioned above, I have been using this product alongside my other skincare range and my skin has felt wonderful compared to usual. What's your must have skincare product? This post features product(s) which were sent to me for review purposes, however all opinions are my own.